An amphibolite layer containing angular and platy fragments of basic (amphibolitic) composition is described from the island of Kinn in the Kristiansand skaergaard (archipelago). The inhomogeneity of the rock and the different texture and colour of the fragments are emphasized. The rock complex has suffered several periods of metamorphism and deformation under amphibolite facies conditions. Neither this change nor the influence of a pegmatitic intrusion can explain the fragmentstructure in the amphibolite. A comparative study of the chemical composition of the Kinn amphibolites with ortho- ancf, para-amphibolites from other parts of the world indicates that they are ortho-amphibolites. Some of the calcium-rich inclusions may be composed of a mixture of volcanic and sedimentary (calcareous) material, or otherwise they represent early differentiates of the original magma. Both the field appearance of the rock and the chemical composition indicate that the fragment structure was originally an agglomerate structure. 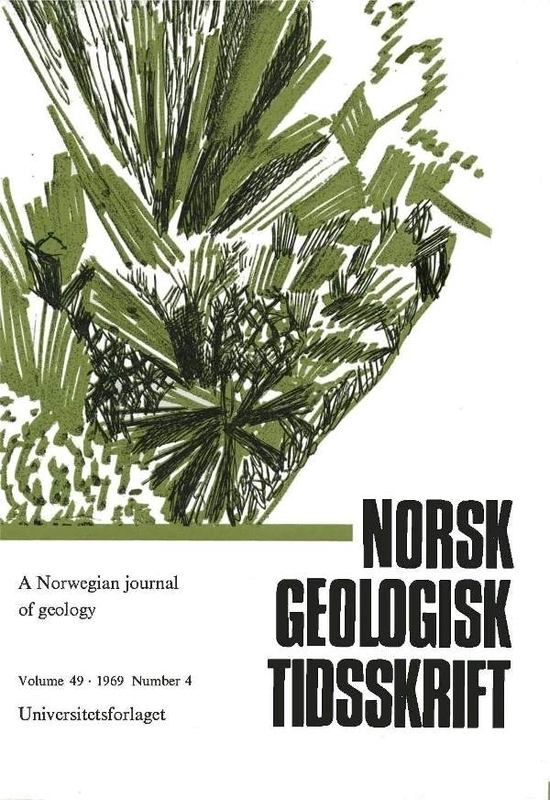 It is the first agglomerate structure reported from the Agder-Rogaland rockprovince, and its importance in connection with the metasediments in the Kristiansand area is discussed.